This cafe menu board is a classic one. The dark brown chocolate color makes this menu board a sleek one with white typeface. The four different kinds of menu items are well depicted and so also are the graphics. On a digital menu board the impact will surely draw-in the crowds. 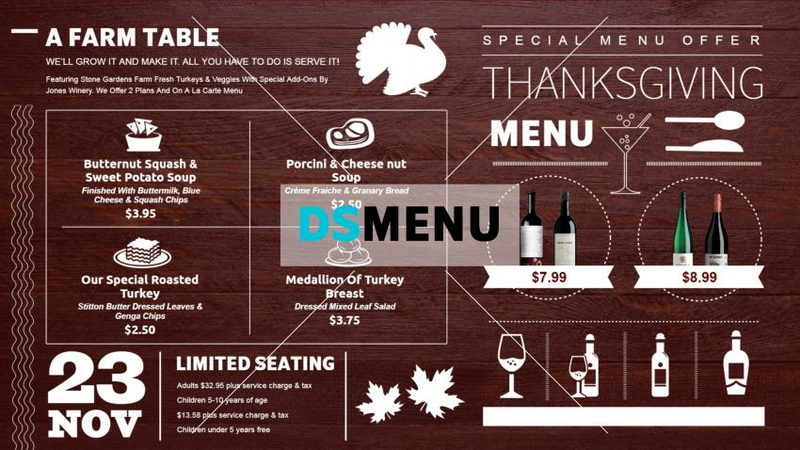 This template provides a model for your actual menu board and is ready for use.